Reaching out to the target audience, getting subscribers, retaining existing volunteers and supporters, and achieving fundraising goals -- will mobile app development help nonprofits to pursue these goals efficiently. From website and email subscription to social media, and from organic and referral traffic to traffic and conversion through paid ad campaigns, nonprofits today have a wide range of digital tools at their disposal to operate efficiently. Unlike past, they have got more NGOs weapons in hands. Despite all, here is why they invest in mobile app development. What is brand value? You are most likely to get different definitions of this simple question. Some would link it to the global presence, some to revenue and is listed with the stock exchange, some others to the size of stakeholders, including customers and employees, so on and so forth. However, the most relevant one, what we think about Rootinfosol, is that what stakeholders, including customers and employees, think and feel about a product/service or the company itself, and how they react with prices, market share, and profitability that the business commands on. What is the response rate? It’s one of the metrics usually applied to track the success of an email campaign. Mathematically, it’s the number of actions taken against or divided by the number of emails delivered. Unfortunately, the response rate for advocacy email stays in an abysmal situation. Last year, it declined from 17% to 1.6%, reports M+R, an organization known for helping nonprofits achieve their various goals. Though there could be various reasons, the approach adopted to persuade audience is also no less responsible. Interestingly, both the aspects can be improved with a mobile app. Via an app, users can get acquainted with the nonprofit organization, its services or area of actions and other vital information in a quick and easy manner. Getting a bigger picture, a user feels more comfortable or confident to take actions. However, the response rate is also applicable to your app. We mean to say that the app should perform well at the user’s end. He or she should not struggle to seek information. 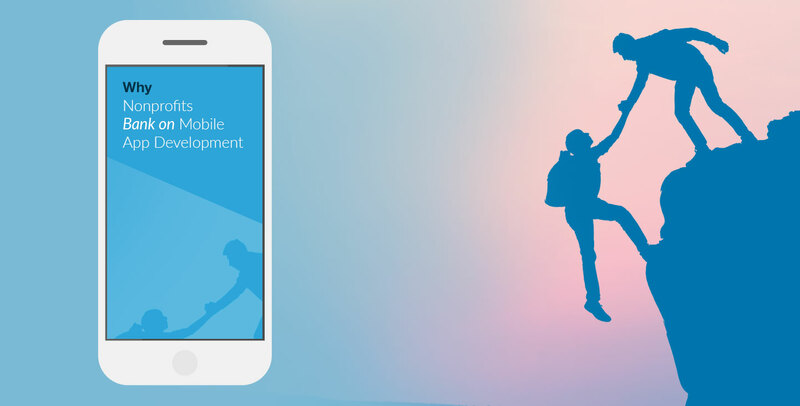 Here comes the role of your mobile app development company. Did you know that out of 2000 emails that are sent to seek funds from donors, only 1 gets honored? Well, the weak fundraising signals towards a weaker advocacy. And it’s not something unexpected, as people who are not convinced of a cause will hardly support it. Besides, there could be other reasons, some might be beyond our scope of discussion. However, payment processing complexity and apprehensions regarding security are one of those. Donations through cheque is cumbersome for donors and time consuming for you. Digital methods like Internet banking, credit or debit card payment, are good no doubt, but using them over a browser and that too over a 5-inch phone the display is quite tedious. Remember, a donor could be an employee, a boss or a business entrepreneur, he or she might be busy with his or her own share of chores, so it’s best to simplify the payment process for them, and what could be the better option than integrating a payment gateway with the given mobile app. Blackbaud’s 2016 Charitable Giving Report based on the data analyzed from 6,845 nonprofit organizations claims that 22 percent of donations in 2016 were made through a mobile device. Hence, nonprofits should consider providing donors with as many flexible, easy-to-use and secure options as possible to maximize the response rate. Do you run a nonprofit and want to increase its brand awareness and response rate? If yes, hire Root Info Solutions to reach out to your prospects, and make conversion a certainty.